Discounting, ah, good old discounting! On the face of it, such a simple concept but it is amazing how poorly it can be used. And what a negative knock-on effect this has on your business. Discounting done right is powerful. The respect for your way of doing business will grow and word will spread. It is important to know when, why and to whom. We have covered your costs in a previous blog, but one of the reasons discounting fail is that business owners fail to give proper attention to their costs before using a discount. importantly how this affects the profit margin. Fair enough if you are busy enough to afford letting a few sessions go cheaply. But if you are trying hard to win business then careful attention to your costs is a must. 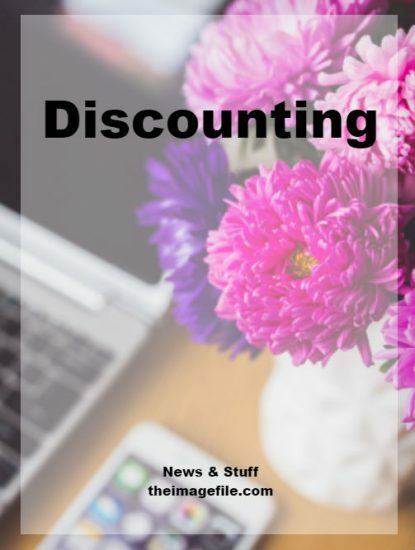 Newsletters: Perhaps the most successful tactic in recent times is to offer a discount to first-time visitors on your homepage or any page for that matter. Signing up to the newsletter and getting a 10% discount as a reward is a great way to accumulate customer data and have them return to make a purchase. Potential customers immediately feel part of the club, positive about your company, much more likely to return and, invaluably, keen to share their experience with other potential customers. Loyalty program. Try to make their joining an incentive scheme as frictionless as possible. Having a system in place to recognise a returning customer which triggers an immediate discount. Again keep an eye on cost. Proactive repeat sales. Customers will happily pay for a service they perceive is good quality. As such, making a concerted effort to recognise important moments in their lives (births, graduations, anniversaries) by email or personalised newsletters will go a long way. Discounting future purchases gives them a reason to return and to mention it to others.